Boko, a rescued stray, found a sweet way to return the favor. 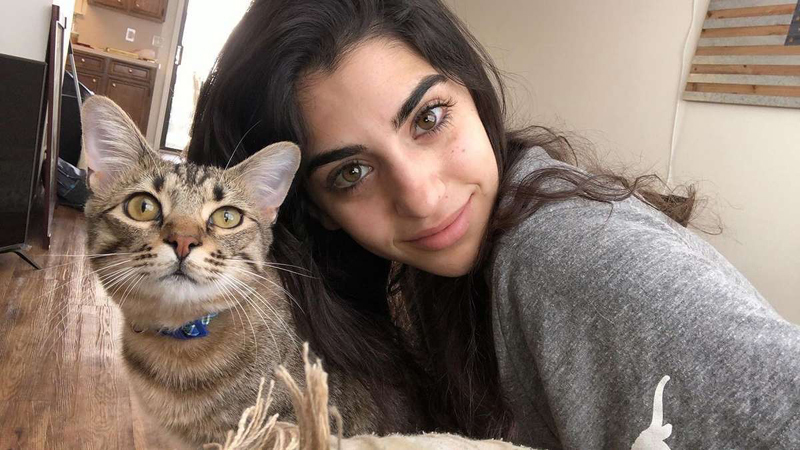 Last year, college student Gabby Tropea took in the lonely tabby cat after finding him living as a stray on her campus in Texas. Since then, the two of them have been inseparable. 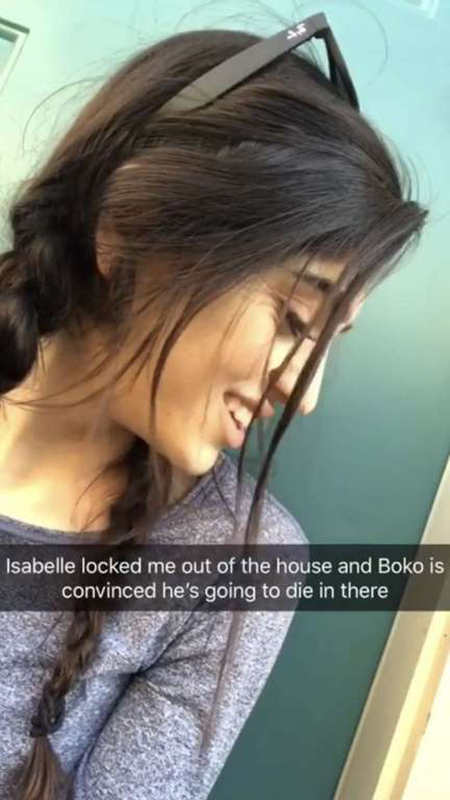 But recently, a mishap at home threatened the connected-at-the-hip thing Boko and Tropea have going.The other day, Tropea left Boko at home for a moment so she could walk her sister Isabelle to school. What Tropea didn't realize, as she stepped out the door without her keys, was that her sister had set the door to lock behind her. Upon returning, Tropea realized she was unable to get back inside. She wasn't the only one concerned. "I got to the front door and Boko could hear me trying to get in," Tropea told The Dodo. 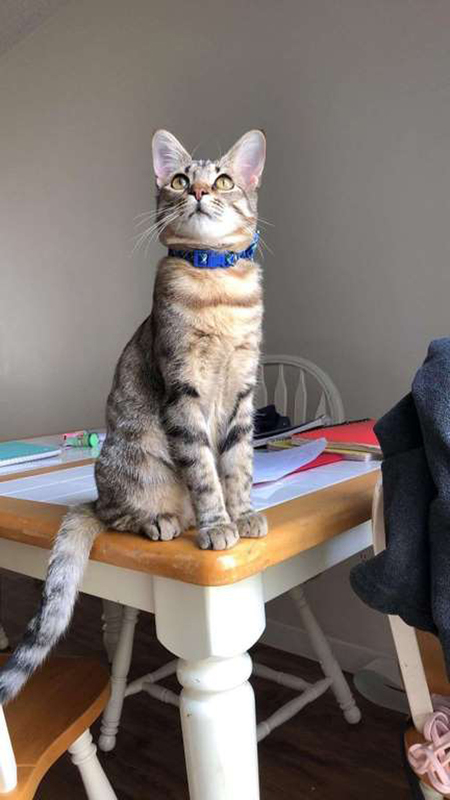 "He started crying and scratching at the door." Tropea was stranded — but she wasn't trapped outside for long. Soon, Boko saved the day. "I went to the back patio and he saw me waiting there," Tropea said. The patio door was secured with a stick to prevent it from being opened. It was no problem for the clever cat. "He started rubbing his face on the stick and I was encouraging him to mess with it. I was coaching him to lift it up," Tropea said. "He understood what I was trying to tell him and he started lifting it up!" And with that, Boko and Tropea were together once again. "He was so proud of himself when I got in and I gave him a couple treats," Tropea said. "He was all clingy and snuggly after that for a good while." Boko wasn't about to let anything keep them apart. 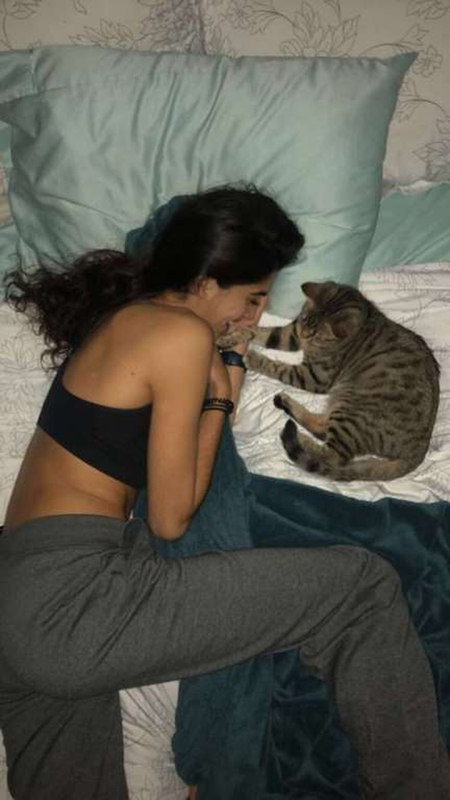 The whole ordeal only lasted about 10 minutes, but in that short time Boko reaffirmed his love for Tropea — literally opening the very home she was kind enough to welcome him into months earlier when he'd needed it most. "We went full circle," Tropea said.